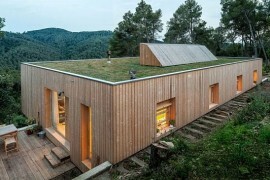 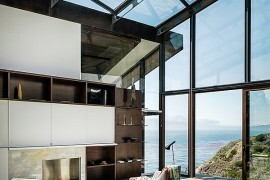 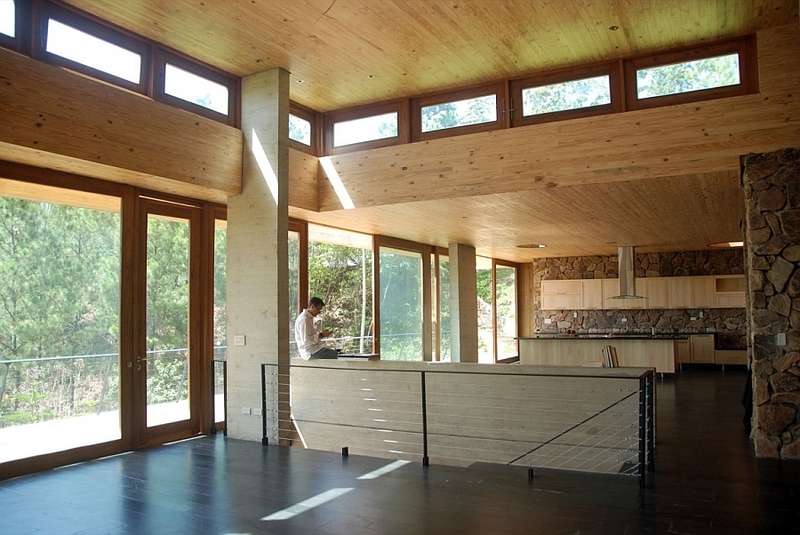 The surging wave of sustainable design and eco-conscious homes has seen architects come up with some of the most innovative and amazing homes in the last few years. 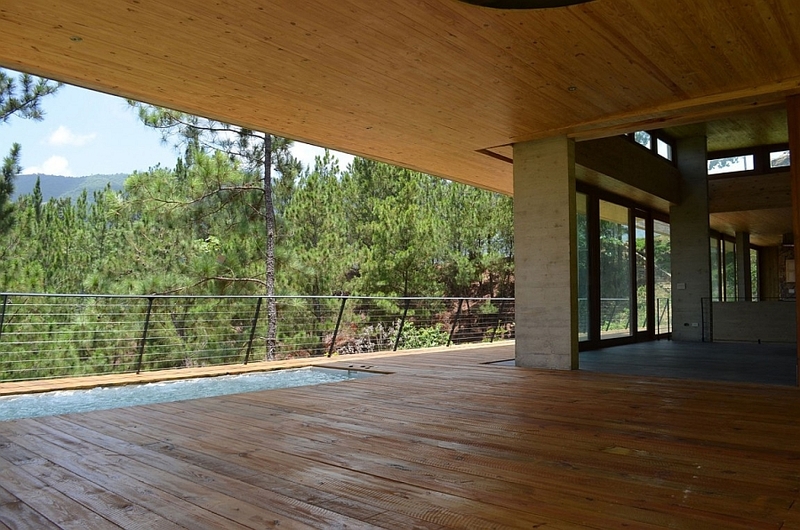 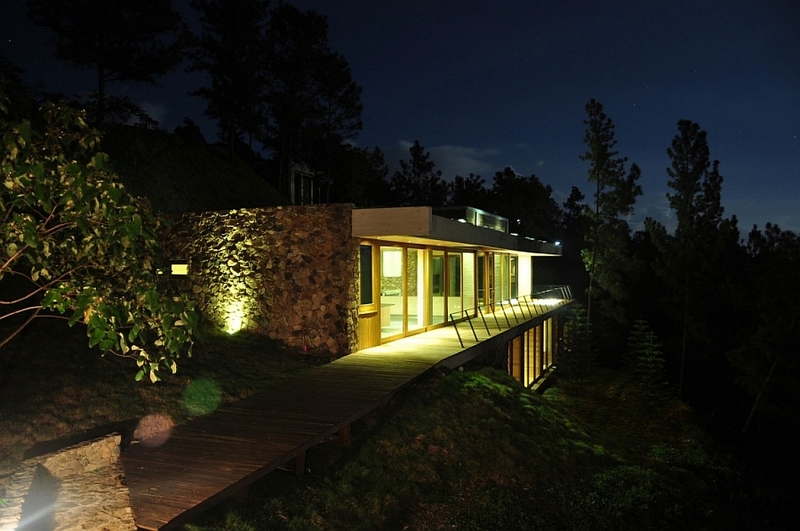 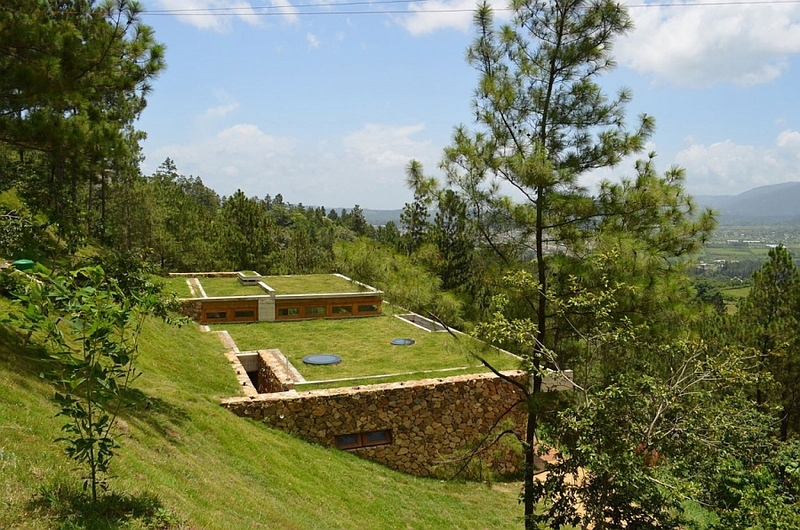 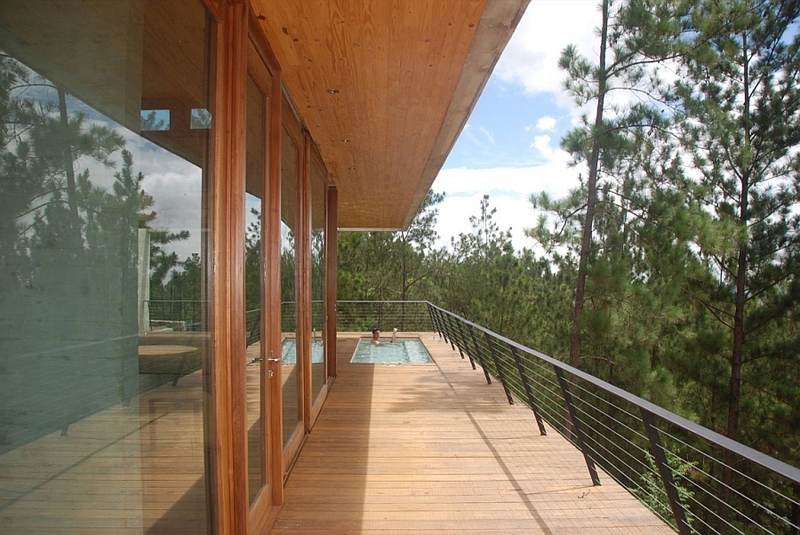 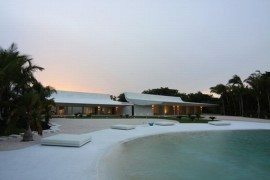 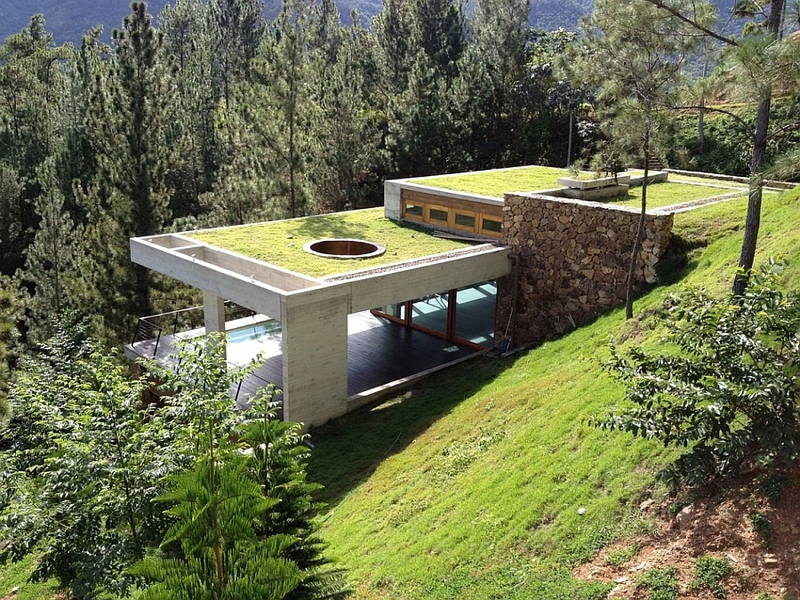 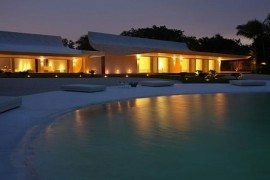 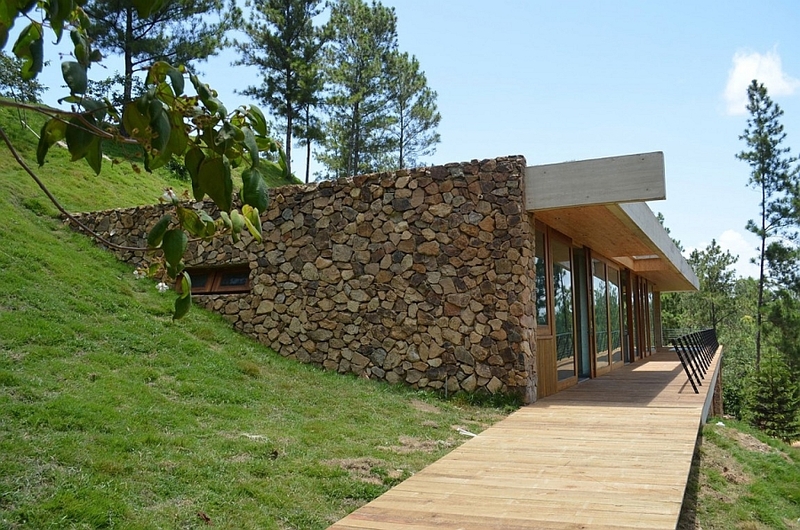 Hidden partially inside the ground and following the natural contours of a beautiful hill in the Dominican Republic, this contemporary house is all about being one with nature. 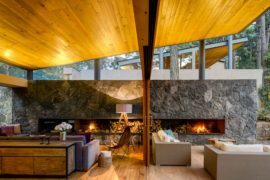 Designed by , the house is nestled on the slope of the hill, and instead of disturbing the existing canopy, it just burrows in and enhances the appeal of the secluded niche. 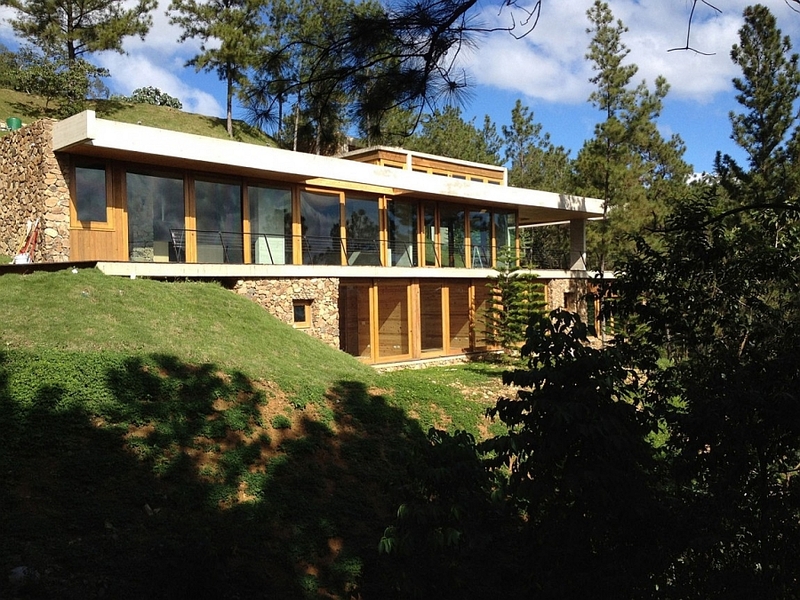 In fact, one would be hard pressed to spot the house from a distance. 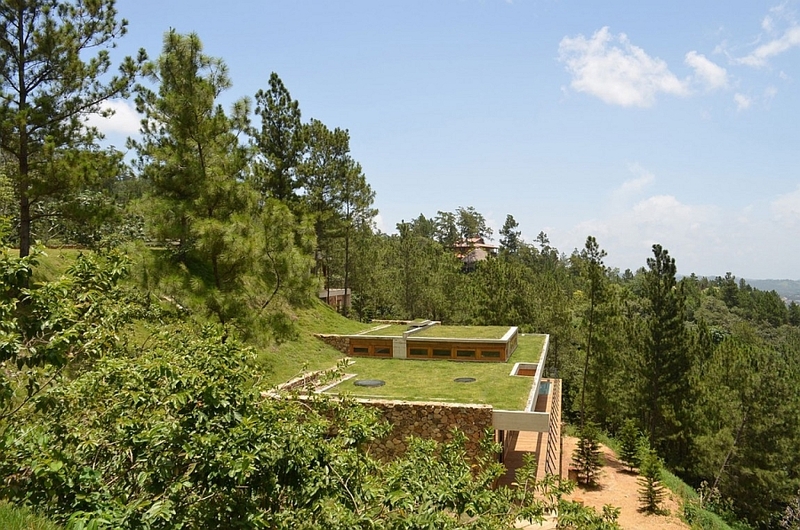 Its green roof not only ensures that it becomes a natural extension of the picturesque outdoors, but also helps in regulating the temperature inside. 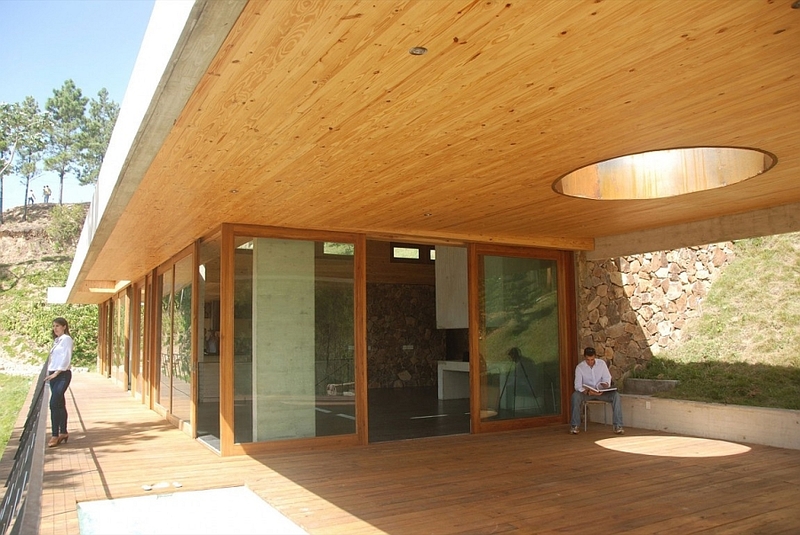 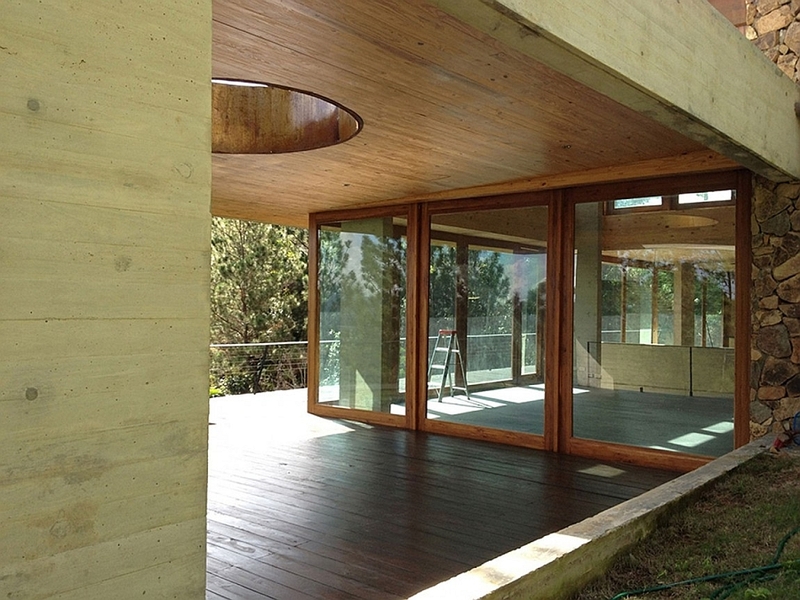 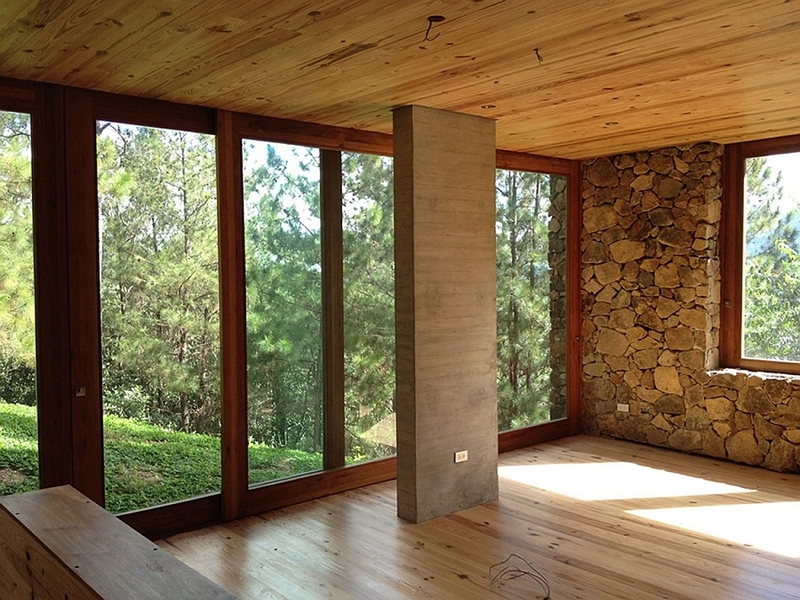 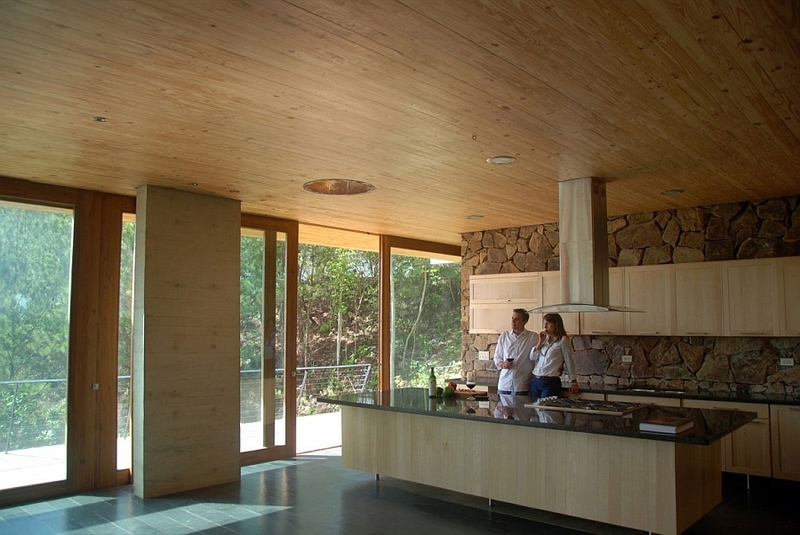 Much of the residence is clad in stone and wood, while glass doors and walls have been used to provide a visual link between the indoors and the sights and sounds outside. 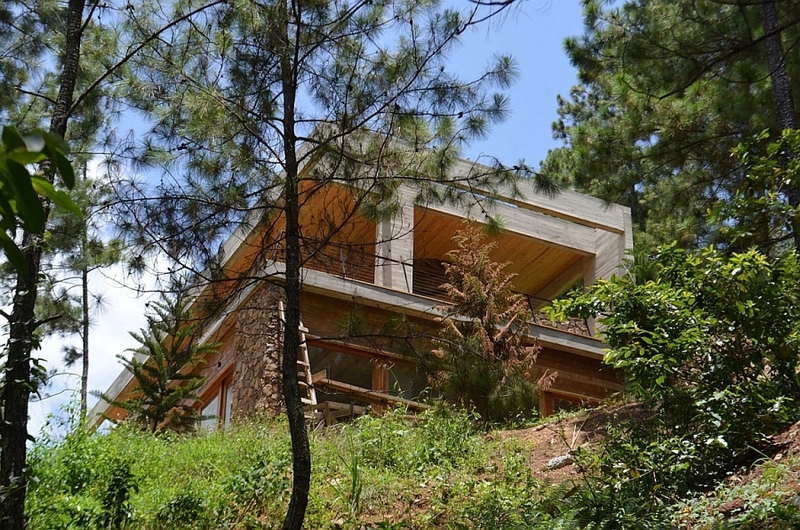 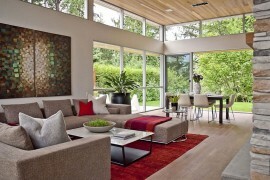 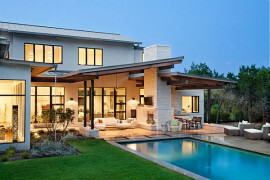 Despite the use of rustic materials, the overall design of the house gives it a stylish, modern appeal. 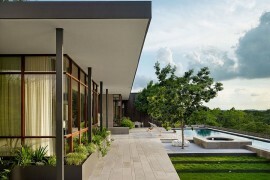 The emphasis here is on outdoor living with a beautiful deck, a refreshing pool and numerous balconies encouraging the homeowners to spend more time outside. 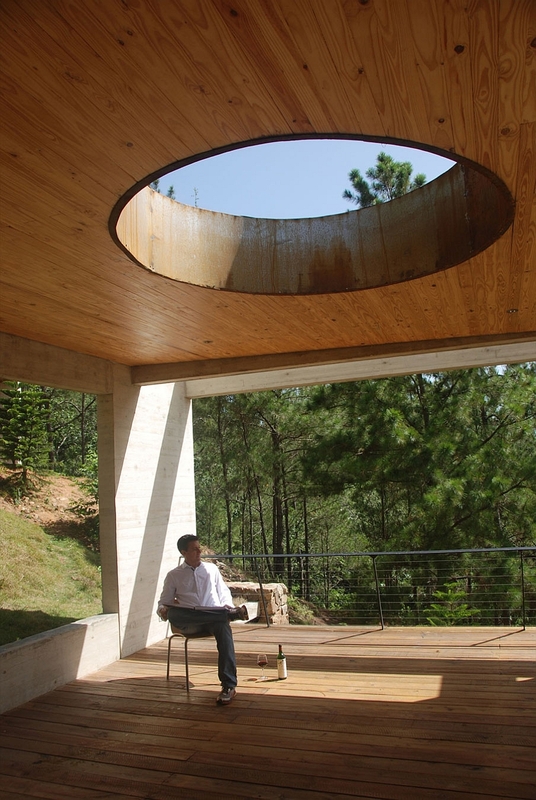 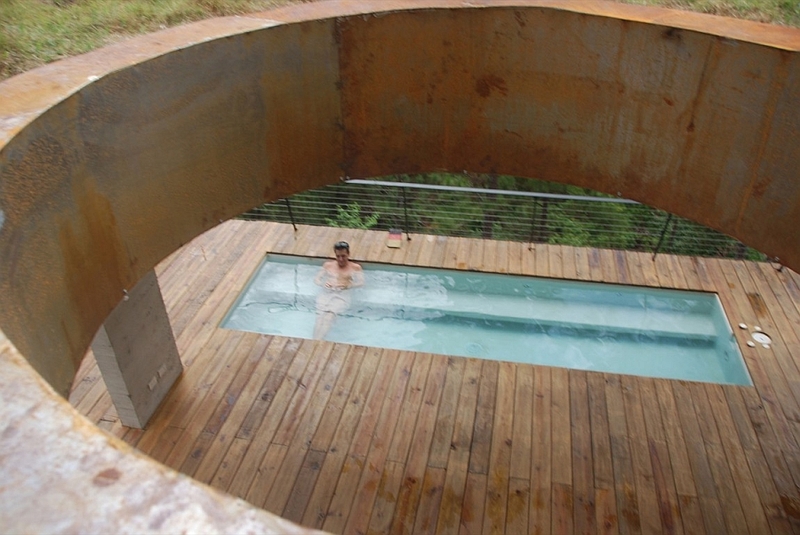 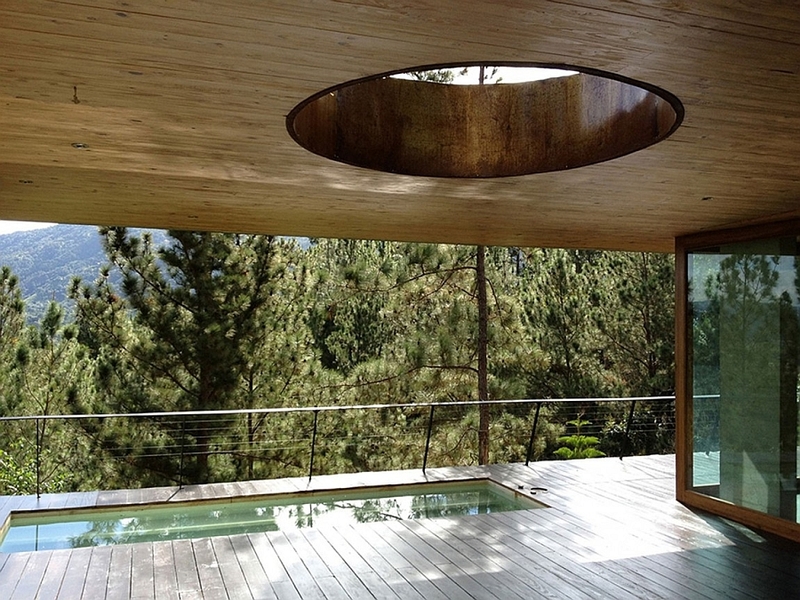 Large circular cutouts in the roof usher in ample ventilation and also add an interesting visual element. 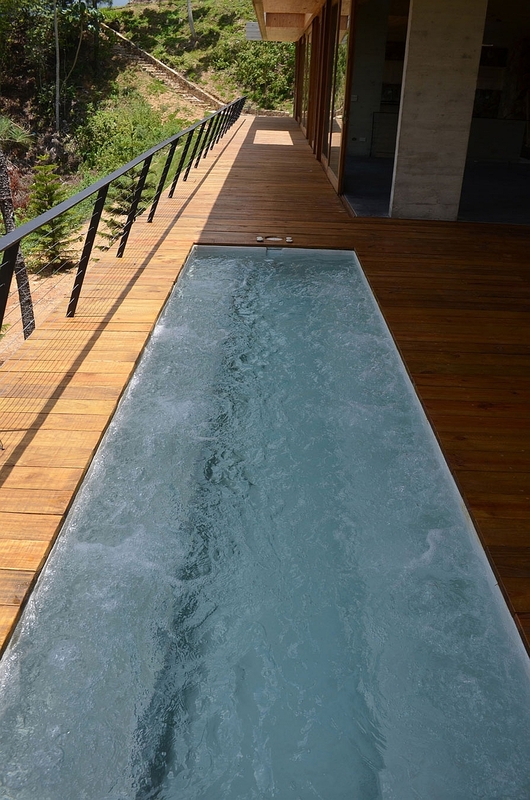 Serene, relaxing and comfy, this is the perfect way to escape the big city rush!